Atrophic vaginitis is a common type of atrophy in menopausal women. Read on to learn more about menopause and atrophy here. Regardless of how long you've dealt with menopause, weight has likely crossed your mind. Here's what you need to know about menopause and weight gain. Afra Willmore and counselor Eric Patterson discuss the prevalence of menopause and depression, and how to combat its effects. Why Am I Bleeding After Menopause? 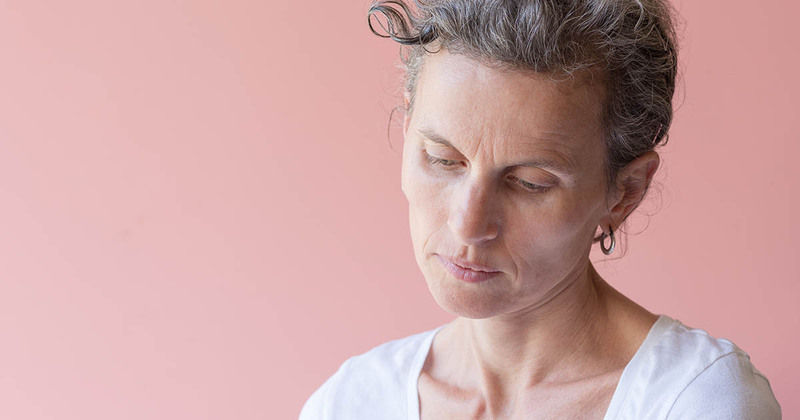 Your bleeding after menopause might be normal, but it could be a sign of something more serious than fluctuating hormones. Learn to tell the difference. Have You Experienced Bone Loss After Menopause? Bone loss after menopause is common, which makes post-menopausal women more at risk of osteoporosis and fractures. Prevention is key, so get screened today! Many women don’t realize that being a smoker can hasten the start of the menopause and make its symptoms worse. Learn more about smoking and menopause here. Many divorce occur during the menopause years. Because of this, finding ways to improve your physical and psychological symptoms is essential. Menopause and diabetes can be a volatile combination. It’s crucial that you recognize the risks, and get on track with the right treatment plan ASAP.